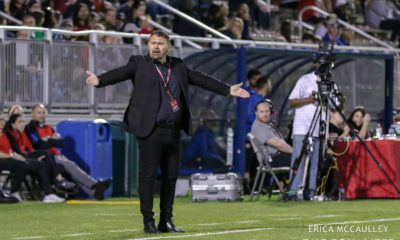 ORLANDO – It’s got a World Cup final feel to it, and that’s exactly how U.S. Soccer and England are approaching the final round of 2018 SheBelieves Cup matches. England have turned up their offense under new gaffer Phil Neville. They’re not the sit back, play-defense-first, lull-you-to-sleep sort of team. The Lionesses are positioned to play a high tempo, fast-paced counter punch attack style of football. The 41 year-old Neville wants medals and trophies first and foremost. He was immensely disappointed to see his side not finish Germany despite the chances they created in the second half in New Jersey. Neville brings a win-now attitude to England. “Look, it’s not a World Cup final but the challenge we’ve set for the team is to treat this almost like a dummy World Cup final,” he said. “The best team in the world against the third best. This could happen in 12 (16) months time when we get to France. I can feel the confidence and belief building in our team. Thanks to England’s 4-1 win over France and 2-2 draw vs Germany, England are sitting pretty heading into their match vs the U.S.. A draw of any sorts will see England win SheBelieves Cup 2018. The U.S. know they need to win or they will lose a second consecutive SheBelieves Cup tournament. Ellen White comes into the final match day red hot. She’s in form and leading the tournament in goals. 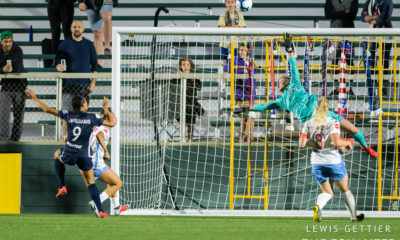 She’s got a knack for finding the back of the net at Red Bull Arena, something she did twice against Germany and once last year in a win over the U.S. The Birmingham City striker, and her teammates are taking the same win at all costs approach that their manager has instilled. 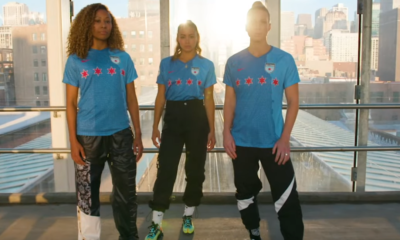 I’d suspect Kelley O’Hara and Crystal Dunn will start at LB and RB on Wed., but with all the injuries, maybe Sofia Huerta gets a look. The versatile Kelley O’Hara will be looking to help the U.S. shake off a frustrating performance vs France. It was a tight, hard-fought draw that saw neither side step up and take control of the match. 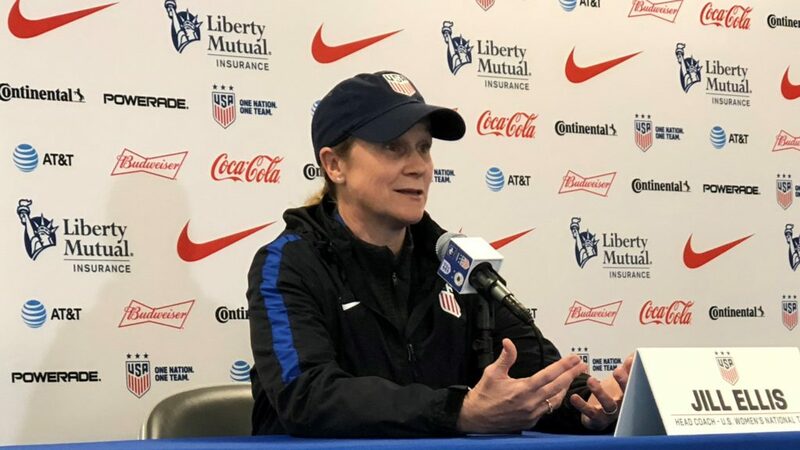 Concluding SheBelieves with a victory over an England side that beat the U.S. 1-0 at Red Bull Arena last year would help the U.S. bounce back. The 29-year-old doesn’t need much motivation to get up for a game. O’Hara is excited and ready to go no matter what’s at stake. She wants to win at everything on and off the pitch. A crowd of 10,000 spectators is expected at Orlando City Stadium. They could be in for a shock as Orlando Pride striker Alex Morgan was sporting a black eye on Tuesday. Morgan told The Equalizer she picked up the knock off a second-half corner vs France. U.S. Soccer will likely be without the services of midfielder Julie Ertz and fullback Casey Short. Ertz did not train on Tuesday. Short did some light jogging on the side after spraining her ankle against France. Not only will the U.S. be looking to stop the high-powered England offense. They will also be looking for positive steps in development. The players know they didn’t play to their full potential vs France. Morgan and company want to end on a high note. The SheBelieves Cup will bring the No. 1 ranked U.S. against the Lionesses. Early returns on England show that they’ve not lost a step under new manager Neville. The U.S. is out to prove that they’re still the team to beat. 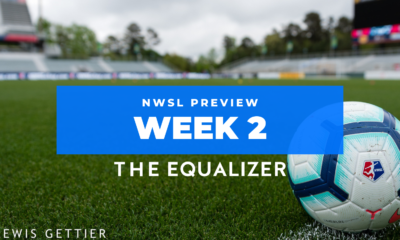 Ellis knows that getting her team in form, and on track before October’s 2019 CONCACAF World Cup qualifying is an absolute must. Notes: U.S. Soccer will host the family and teammates of Marjory Stoneman Douglas soccer player Alyssa Alhadeff, one of the victims of the mass shooting at the Parkland, Florida, high school. A moment of silence will be held for Alhadeff before kickoff.